Unsure About Your Threshold Languages? This Quick Guide Can Help! 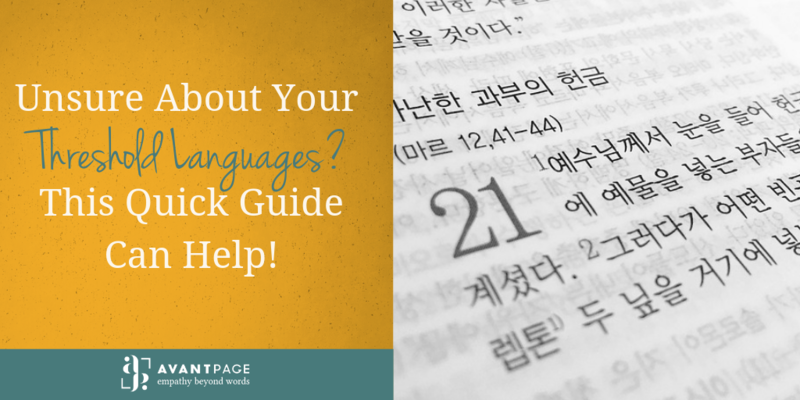 If you’re in a regulated industry, determining which languages you need to translate your documents into can be a challenge. With so many different Federal, State, and sometimes even Local regulations your organization needs to maintain compliance with, it’s easy to get a little confused. Each industry has its own requirements for threshold languages, otherwise known as a language that you need to translate your documents into. These threshold languages will vary from county to county and state to state, but the rules remain the same in each industry for identifying what threshold languages your documents need to be translated into. The number or proportion of LEP persons eligible to be served or likely to be encountered by the program or grantee. The frequency with which LEP individuals come into contact with the program. The nature and importance of the program, activity, or service provided by the recipient to its beneficiaries. The resources available to the grantee/recipient and the costs of interpretation/translation services. While the HHS guidelines are loose, they give you an idea of where to concentrate your translations. The Affordable Care Act defines the requirements for a threshold language further. If 10% or more of the population living in the country is literate and speaks the same non-English language, you must translate your documents into that language. These translations must include a translation of your Summary of Benefits and Coverage (SBC) and Uniform Glossary if you have them. Many counties include languages that are nearing the federal Commission’s mandates in an effort to provide a more inclusive voter experience or increase voter turnout among minority voters. The U.S. Department of Education has somewhat flexible guidelines for what documents need to be translated, and what languages those documents need to be translated into. The Department of Education indicates that, after a student is enrolled in a public school, the school or district must have a way of determining what language is used at home. Generally, this is done through a home language survey sent to the student’s residence. There are additional requirements for how an English Learning program needs to be staffed and run, which need to be considered as you move forward with your Language Access Plan (LAP). The nature and importance of the program, activity or service provided by the recipient to its beneficiaries. If you aren’t sure where to start with threshold languages, talking to your community members can be of great benefit. They can give you insight into what languages are most commonly spoken in the area, and which dialects of those languages are used most frequently. We can help you determine your threshold languages too. Give us a call at 530-750-2040 or request a free quote today. Ash is the Marketing Coordinator at Avantpage, Inc. Ash works to create high-value, targeted content that allows consumers to connect with us at Avantpage. They are a strong proponent of everyone having equal access to communication and information. They have written and created content for a variety of online platforms, and have been published in over 30 online platforms with varying topics. But Ash is other things too! 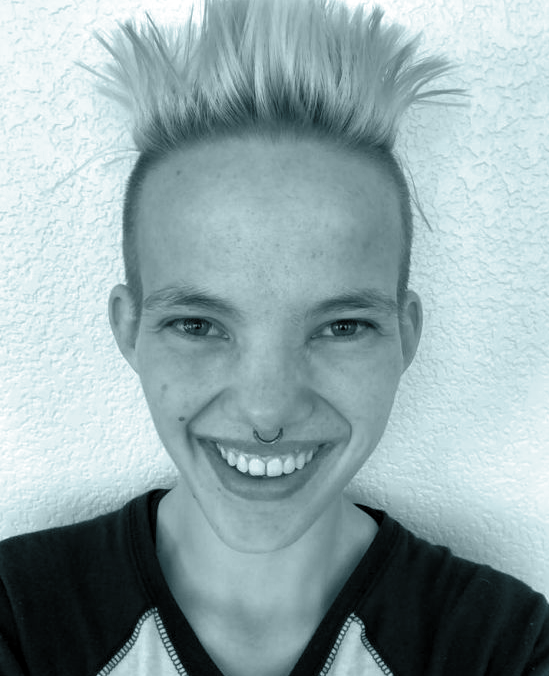 An avid athlete, Ash enjoys spending their free time rock climbing, partaking in aerial circus sports, and practicing acroyoga.